Lightning's Girl: Matryomin: No, Not a New Anti Depressent : A Theremin! Matryomin: No, Not a New Anti Depressent : A Theremin! And possibly the cutest theremin of all time. "Matryomin is the unique, original erectronic musical instrument invented by Masami Takeuchi in 1999. 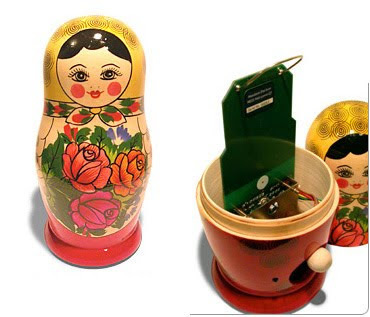 It is a type of theremin - oldest electro-musical instrument invented in Russia - shaped Russian traditional wooden doll, Matrioshka." Thanks to Graham for showing me this today!